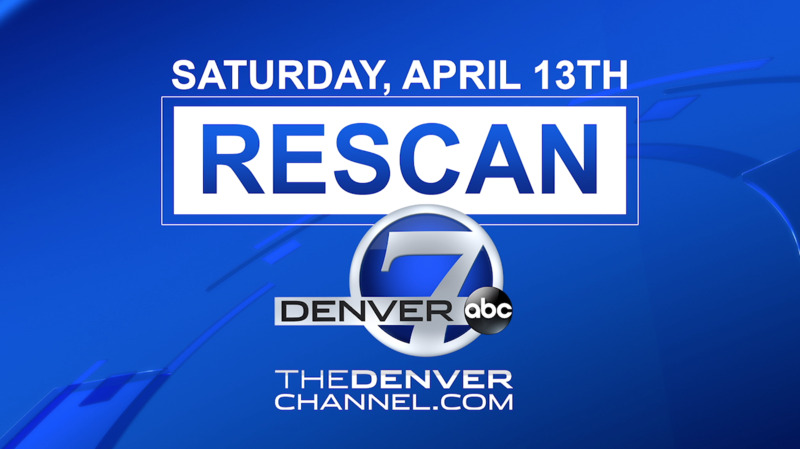 If you use an antenna to watch Denver7 over the air, you’ll need to rescan your TV channels on April 13 to keep receiving our signal. Denver7 is getting an upgrade to give you a more powerful HD signal for a better viewing experience. Press the "menu" or "settings" button on your remote. Locate channels or tuner set-up. Look for "auto channel search" to scan for channels. The rescan might take a while to finish, but don’t worry! Once the scan is complete, you’ll be able to enjoy all your favorite shows on Denver7. All manufacturers differ, so menu options and wording may vary slightly. If you’re still having trouble, call Denver7 at 303-832-7777. Remember to rescan your TV on April 13!